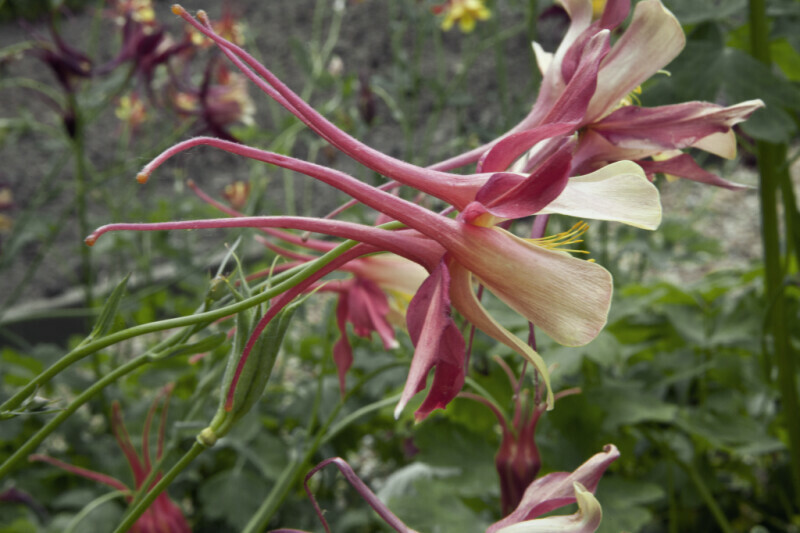 Tilted, pink flower with yellow anthers extending from a green stem of a columbine (Aquilegia sp.) plant. This picture was taken at Old Economy Village. WARNING: You are about to download a 35.5 MB TIFF!